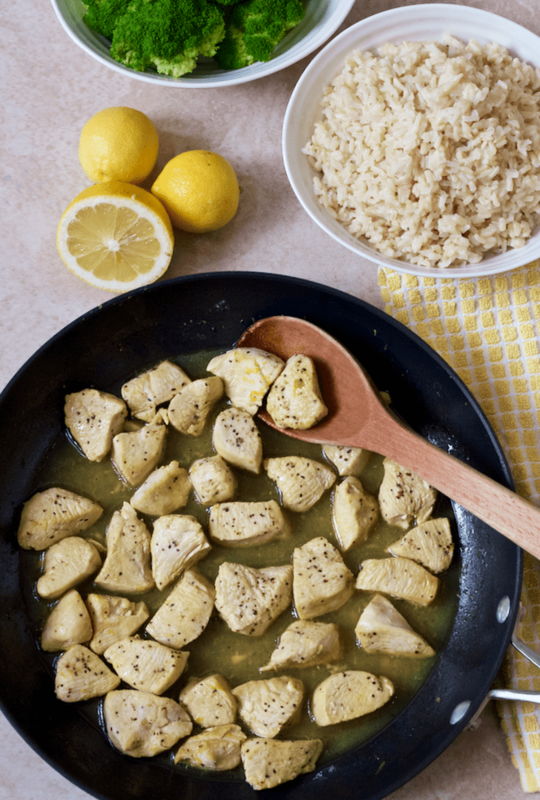 Flavorful, easy, bright lemon pepper chicken that you can make in the slow cooker or on the stove, plus 5 ways to serve it! Today’s recipe is all about options! Options on how to cook it — hands-off and in the slow cooker or super quick and ready to serve from the stove — as well as lots of options of how to eat it. It’s such a tasty, healthy recipe, and this way, you can eat it every week and never get bored! Leaky brain or no, this is a simple, light and bright dinner that we love to eat year-round. Serve over brown rice (here’s how I cook it perfectly) or couscous to sop up all the juices. Just add a side of steamed broccoli or your favorite veggie. Serve alongside roasted potatoes (paprika roasted potatoes are especially tasty with this) and veggies. I like to drain most of the extra juices for this option. Serve the chicken in a wrap with lettuce and tomato. And my favorite addition to the mix when I eat it this way: my lightened-up 5 minute hummus. I like to use this option for the leftovers for lunch the next day. 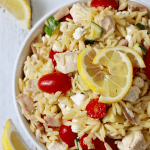 Or, toss with orzo or another pasta and any extra veggies for an all-in-one dinner or an easy light lunch. 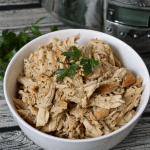 Use for a pulled chicken sandwich (mainly the shredded crock pot version for this). Everyone can top with their favorites: lettuce, tomatoes, even avocado. 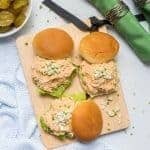 You can also use pesto or hummus as a spread on the bun – delicious! This is a great way to serve this to a crowd. Try it out and let me know your favorite way to serve this! Enjoy! 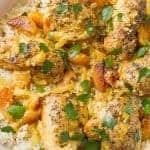 Flavorful, easy, bright lemon-pepper chicken that you can make in the slow cooker or on the stove, plus 5 ways to serve it! Season chicken breasts with garlic powder and lemon-pepper seasoning. Add to crock pot along with chicken broth and 1/4 cup lemon juice. 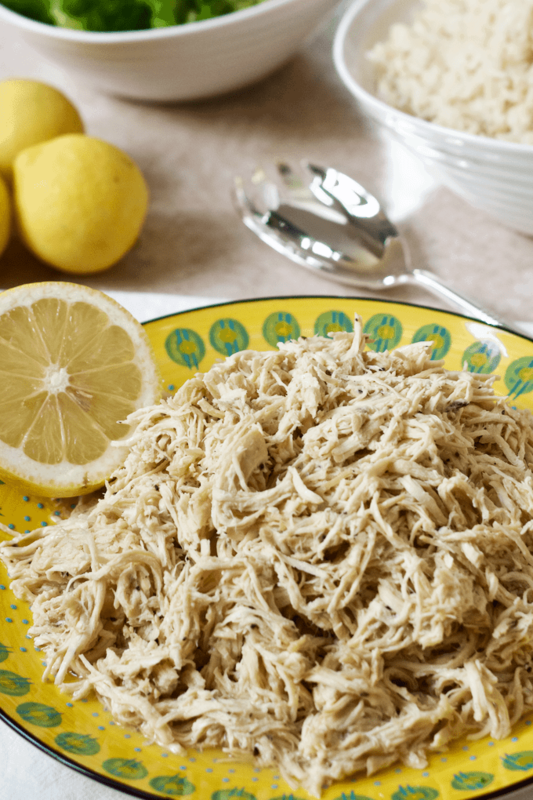 Remove chicken breasts, shred and add back to the slow cooker. Stir to combine and get everything well-coated in the sauce. Add additional 2 tablespoons lemon juice. Taste and add salt and black pepper, if desired. Season cubed chicken with lemon pepper seasoning and garlic powder. Add chicken broth, cover the pan with a lid and cook until the chicken is cooked through, about 5 more minutes. Stir in the lemon juice and lemon zest and serve! The slow cooker method makes a lot. If you freeze the extras, be sure to spoon some sauce into the bags - it keeps the chicken from drying out while frozen and while reheating. See the post above for my serving ideas! YUM! Lemon pepper chicken is so delicious! I’ve never had it in the slow cooker before, but I bet it tastes amazing!! I love all your options for how to devour this too! Total weeknight winner right here, girlfriend! Pinned! 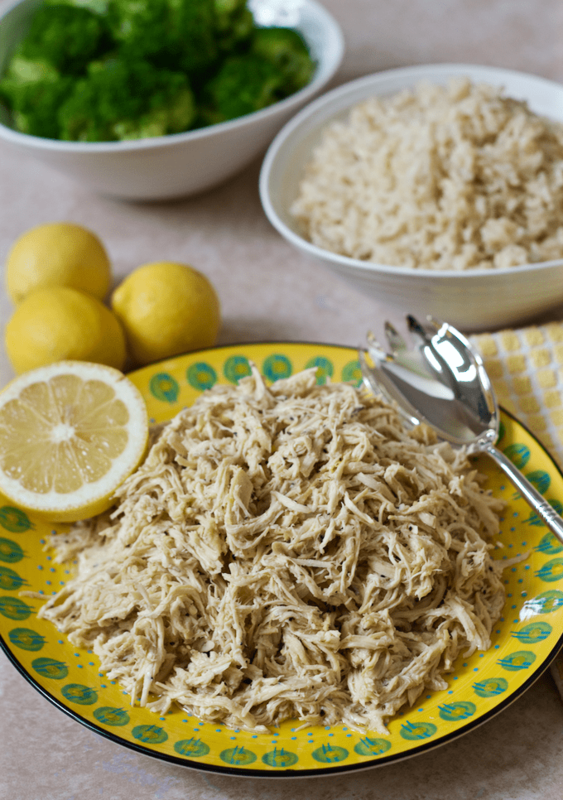 I love your combination of lemon pepper and chicken, and then cooking it in chicken broth! That sounds so flavorful and yummy. Can’t wait to try it! And count me in for the Forgetter’s Club! Thanks Christine! And thanks for hosting such a yummy party! 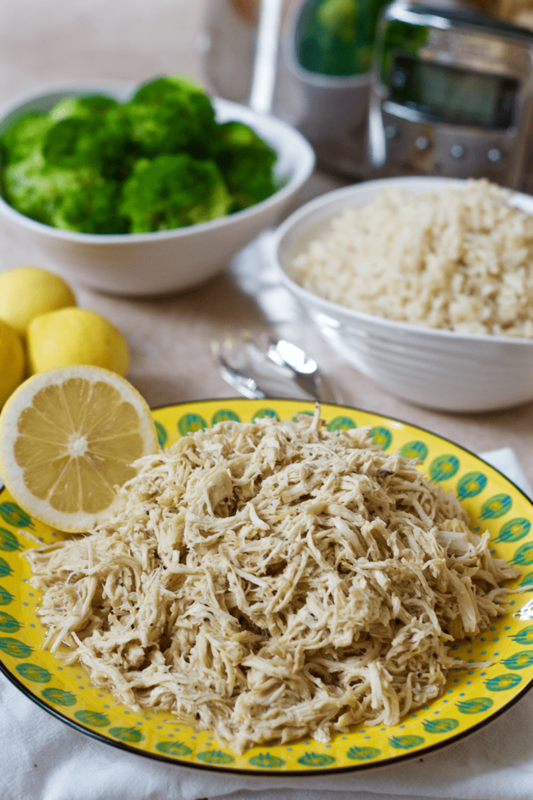 I’m with you – it’s so great having shredded chicken on hand to make a quick meal out of just about everything! I hope you love this version, Lisa! I forget what I’m doing ALL of the time and normally remember about 20 mins later! i love a recipe with options and this would sure be popular in our house. Thanks for linking up with us for Fabulous Foodie Fridays! This looks delicious, for an easy weeknight-skillet meal. 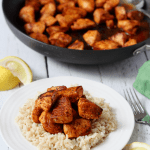 I love lemon pepper too, so this is right up my list of great meals- I may have to add this to this week’s meal plan! Thanks Barrie! It’s such a good go-to and I love that you can use it in so many ways. Hope you give it a try! I definitely need to try this. 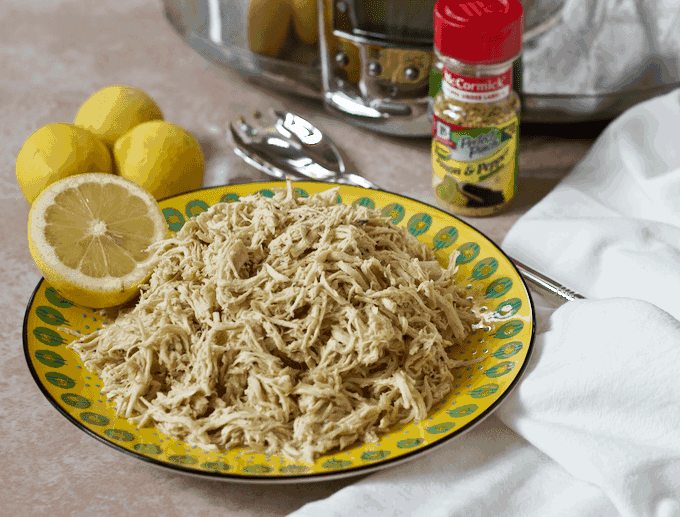 We love cooking with lemon flavor here…I know my family would love this! The crock pot version was delicious! I added about a cup of finely chopped spinach just before serving for a little bit of added veggie and color. I think peas might also be yummy mixed in. We ate it with (ahem, buttered) egg noodles and broccoli. Such a bright, fresh dinner! I was trying to make this recipe again, but for some reason the recipe card isn’t showing up this time. I can see the whole post, just not the ingredients list or directions. Is it just me? Hi Jenny! I’m sorry, I’ve just switched recipe plugins and there seem to be some tech glitches. They are looking into it now. That recipe card appears to be showing up at the very bottom of the post – underneath the big Pinterest image. (Hopefully it will be moved back up soon once they figure out what’s wrong.) Sorry for the inconvenience! WOW Kathryn, another AWESOME recipe! This is going on my to make soon list! Can`t wait to give this a try!! This is so much better than my standard baked lemon pepper chicken! I saved this recipe to Pinterest and will definitely be making it again. Thank you! What’s not to love?! 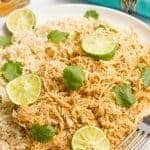 Super simple , clean ingredients , tastes great, slow cooker version makes for perfect meal prep food! Thanks for posting this! Thanks Austin! I hope you enjoy it! Can you use frozen chicken breasts for this? Hi Jamie, yes, I think frozen chicken breasts would be fine for the slow cooker version. It may take a little longer to cook but not by much. Hope that helps!